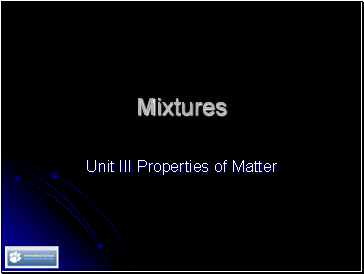 How can it be separated? 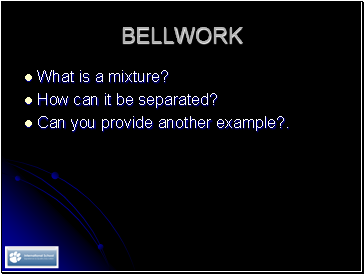 Can you provide another example?. 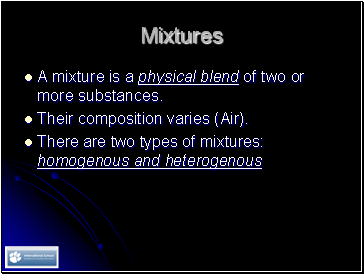 A mixture is a physical blend of two or more substances. Is the type of mixture that is not uniform in composition. 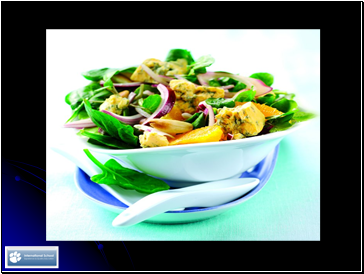 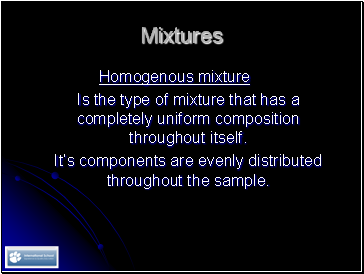 If you were to sample one portion of such a mixture, it’s composition would be different from that of another portion. 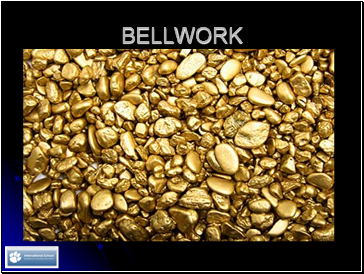 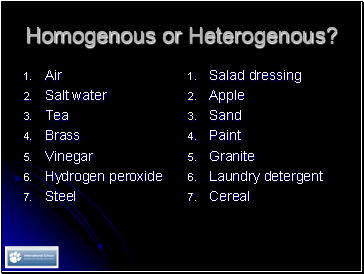 Is the type of mixture that has a completely uniform composition throughout itself. 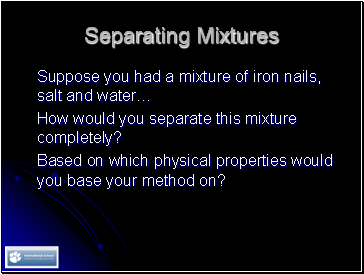 It’s components are evenly distributed throughout the sample. 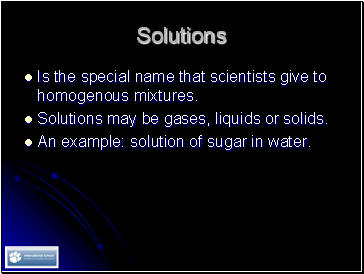 Is the special name that scientists give to homogenous mixtures. 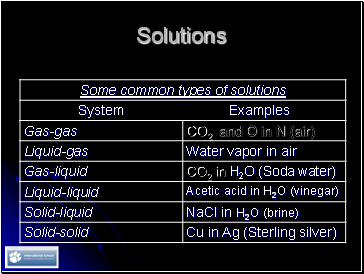 Solutions may be gases, liquids or solids. 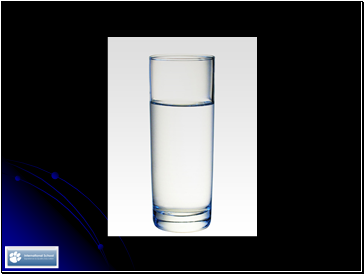 An example: solution of sugar in water. 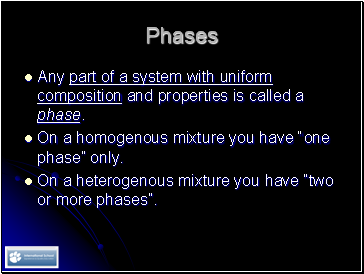 Any part of a system with uniform composition and properties is called a phase. 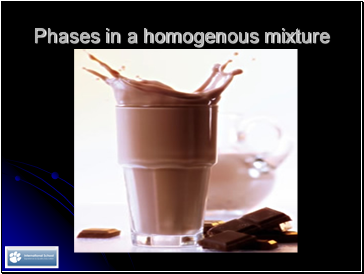 On a homogenous mixture you have “one phase” only. 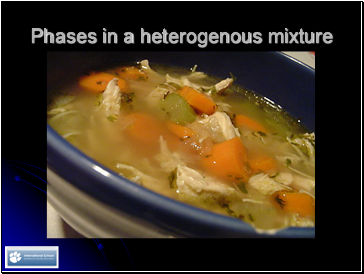 On a heterogenous mixture you have “two or more phases”.